Billings – An excellent tool for managing the details of clients, billing, and tracking payments and receipts. iCal – Bundled with OS X, iCal can offer a simple and inexpensive method to track projects and deadlines. Email reminders are handy too! iTaskX – Seamlessly integrates with Microsoft Project to be another fairly advanced planning and project management tool. Daylite – From the makers of Billings, Daylite is a more professional app capable of organizing an entire design team! Merlin – Yet another advanced project management tool, with a great looking interface. LittleSnapper – An awesome tool for capturing and organizing screenshots, ensuring you’re never stuck for inspiration. TextExpander – Allows you to build up a library of code or text snippets, and quickly drop them into a document. Yojimbo – An “information organizer”, which can be used for building up a library of code snippets, images, icons, or client material. DevonThink – Similar to Yojimbo, but with a few advanced features such as OCR and scanner integration. FontExplorer – The de facto font management tool for OS X, with automatic activation. Fontcase – A great looking interface and robust comparison tools makes Fontcase a worthy competitor to FontExplorer. Coda – The original (and, some would say, best) integrated web design environment for OS X with robust CSS tools, live previewing, and one-click publishing. Espresso – Bringing several features across from CSSEdit, Espresso is a worthy Coda competitor with a built-in code snippet manager. iWeb – Bundled with iLife, iWeb is Apple’s take on a WYSIWYG editor. Simple, easy-to-use, and capable of creating wonderfully designed sites. More of a consumer tool, with fewer advanced features than Coda/Espresso. RapidWeaver – The undisputed king of visual web design apps on OS X, RapidWeaver has an extensive community creating hundreds of excellent themes. Adobe CS4 – The daddy of design suites, CS4 includes Photoshop and Illustrator – two essential apps for designing graphics for the web. Pixelmator – Billed as a Photoshop competitor for “the rest of us”, Pixelmator is inexpensive and remarkably fast for editing photos and graphics. GIMP – A completely free image editing tool. It lacks the same polish as Photoshop or Pixelmator, but packs a decent punch. Keynote – Often overlooked, Keynote can create stunning diagrams and charts which are only a screenshot away from looking brilliant on your website. Photoshop Elements – Photoshop’s little brother, Elements offers an inexpensive way to organize and edit a photo library for the web. Acorn – The “image editor for humans”, Acorn has a bunch of excellent export-for-web options. Picturesque – It’s easy to add reflections, borders, shadows, curves and change the perspective of photographs with Picturesque. Great for adding life to a dull image. BBEdit – Undoubtedly the leading OS X text editor, BBEdit is incredibly powerful whilst retaining a simple interface. Particularly useful is the auto-complete feature. TextWrangler – The free alternative to BBEdit, retaining much of the functionality at a price that’s too good to resist. SubEthaEdit – Another great text editing tool, with powerful features for allowing multiple designers to collaborate on a document at the same time. TextMate – A simple, unobtrusive text editor for editing HTML, CSS, or another programming language you throw at it. CSSEdit – A game-changing app for editing and previewing CSS, packed with useful features such as a visual editing tool and “selector builder”. Slammer – Capable of placing a grid over your screen to assist with laying out webpage elements and keeping a good structure. xScope – A fantastic all-rounder for measuring and analyzing any element on your screen. xScope is worth every penny! Handbrake – A powerful video conversion application, which is ideally suited for converting videos into a web format. 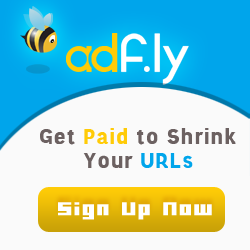 It can happily handle almost any video format available, and is completely free. ScreenFlow – If you’re considering using a screencast on your website, ScreenFlow is worth every penny. It can record your screen/webcam/audio simultaneously, and packs a range of editing tools. Audacity – An open source app for editing and encoding audio across a variety of different formats. GarageBand – For podcasting website designers, GarageBand is a simple (and free) way to edit a recording and export it in a suitable podcast format. MAMP – Whilst OS X ships with an in-built web server, MAMP also ensures that PHP and MySQL are installed. A quick way to set up a local website testing server. Alkaline – A great app for generating screenshots of how a website will display in various Windows browsers. ies4osx – Providing a way to test your website locally in various versions of Internet Explorer. A headache, but necessary! Parallels Desktop – If you’re prefer to test websites in an actual Windows environment, Parallels is the virtualization industry leader. VirtualBox – For the budget-conscious, VirtualBox is a free alternative to Parallels which can provide an equally useful testing setup. Transmit – Transmit is probably the best known FTP client for the Mac, with good reason – it packs a great deal of functionality and is notoriously well designed. 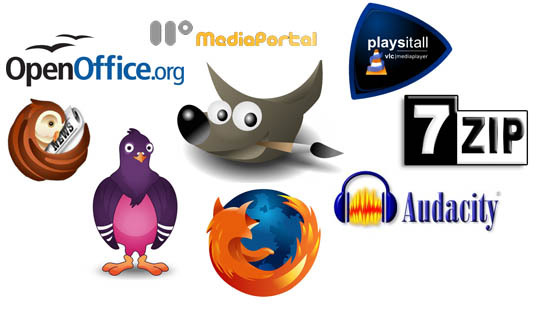 CyberDuck – The most full-featured open source client available, Cyberduck packs a decent punch and is a free rival to Transmit. Interarchy – Supporting a range of SSH functionality, mirroring, Dashboard and Automator integration, and downloading of entire websites. Forklift – Offering a great interface, but quite an expensive price tag for the features on offer. Fetch -Support for a range of protocols with a few new Leopard-centric features in the latest release. Versions – A wonderfully designed subversion app, making it simple for a non-technical web designer to get started. Cornerstone – A worthy Versions competitor with a stunning interface, and the latest version of Subversion built-in. svnX – A free, open source, subversion client with a decent range of features. GitX – Offering a history viewer and commit interface with OS X style. Querious – A throughly full-featured SQL database manager, which unfortunately only works with MySQL5 at present. If you’re rocking the latest MySQL version, however, this is an incredibly useful app. Sequel Pro – A free alternative to Querious, with a recent update bringing the interface up to a much improved standard. Reliable, and easy-to-use. Dashalytics – A simple Dashboard widget for monitoring Google Analytics statistics. I’m a fan of the simple graphical interface. WatchMouse – Allows you to monitor the uptime of your website or server through the OS X Dashboard. Junior Mint – If you use Mint as a statistics system, this is a simple way to stay up-to-date through Dashboard. Reinvigorate (Beta) – Currently an invite-only beta, Reinvigorate allows desktop monitoring of website visitors and statistics. Get signed up to be a tester! Time Machine – The OS X Leopard backup solution. All that you require is an external hard drive, and to keep a copy of your website locally. SuperDuper – If you’d like to keep a bootable backup of your Mac hard drive, SuperDuper is an excellent solution. Syncplicity – Similar to Dropbox, Syncplicity can easily maintain a fully versioned remote backup of any folder(s) on your hard drive.